SAGUENAY, Que.--A Quebec mayor is in court fighting for the right to open city council meetings with a prayer and is citing the preamble to the Constitution to bolster his case. 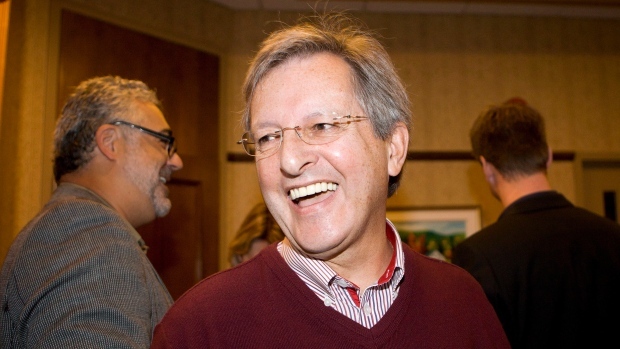 In his opening arguments Monday the lawyer for Saguenay's colourful mayor, Jean Tremblay, pointed to the very first words in the 1982 Constitution Act. The document begins: "Whereas Canada is founded upon principles that recognize the supremacy of God and the rule of law." 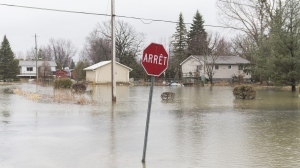 That fundamental document was cited by Claude Armand Sheppard, a lawyer for the Saguenay mayor. The mayor's legal team is trying to reverse a decision banning prayers before meetings. Tremblay says he's also fighting to preserve the province's Roman Catholic heritage. He launched a fundraising drive to raise money for the court case, which started after a complaint from a local resident. The Quebec human rights tribunal had ordered the prayers be stopped, the crucifix in the city council chamber be removed and that damages be paid to the citizen who complained. Tremblay says many Saguenay residents are behind his fight and have given him money to fund the legal battle. The Quebec Court of Appeal is now hearing the case. Tremblay says he's optimistic about his chances: "For sure, when you go to court, you expect to win," Tremblay said in an interview Sunday. "But it is not only the trial of Jean Tremblay. It is more than that: it is about the whole culture of Quebec." The mayor's legal team is arguing that the ban threatens traditions and institutions such as Canadian currency, the national anthem, oaths, monuments and religious holidays. Another one of Tremblay's lawyers, Richard Bergeron, said Monday that the country is loaded with religious symbols and he warned that the case against the mayor could lead to an aseptic public space. He said it could eventually lead to the iconic crucifix atop Montreal's Mount Royal, and the large statue of Virgin Mary in Saguenay, being removed. Bergeron urged the court to judge the case on its merits and not on the combative reputation of the mayor. He quipped, in a possible allusion to the province's ongoing corruption scandals: "Wouldn't you rather have a mayor who worships than a mayor who worships money?"